Pottery goblet from Germany measuring five inches in height. No manufacturing information, but I believe it to be German-made. 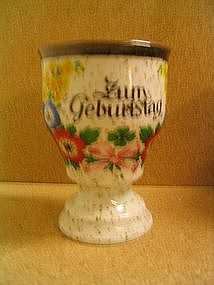 The goblet reads 'Zum Gebustag', which I translated roughly as 'Celebrate'. The goblet may have been manufactured as part of a celebration of Easter or May Day, judging from the lovely flowers painted on it. There are no chips, cracks, or roughness. 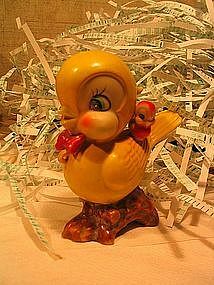 I will need your zip code to calculate postage. Unmarked and could be either Fire King or Glasbake. 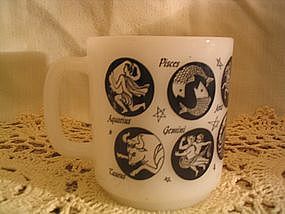 All of the zodiac signs are depicted. There are no chips, cracks, breaks or rough rim. The graphics have no loss. I need your zip code to calculate the postage. Still in the box. I need your zip code to calculate the postage. 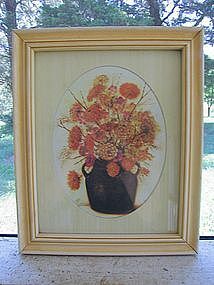 Vintage wooden framed print of floral arrangement. The frame measures 11 1/2 x 9 1/2 inches. Minor wear to the frame. I need your zip code to calculate the postage. 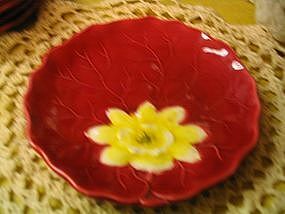 This mini plate measures approximately 4" across. 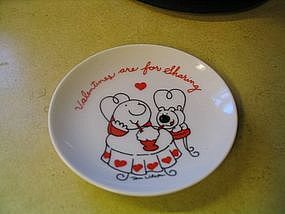 It was manufactured in Japan in 1979 and says "Valentines are for Sharing." There are no chips, cracks or breaks. If you have any questions regarding this item, please email. I need your zip code to calculate the postage. 6 1/2 inch Zells plate by Georg Schmider. Some people are calling this a water lily. No chips, cracks, breaks or roughness. Some manufacturing flaws as well as a few light utensil marks. Please email for additional photos of condition and backstamp. 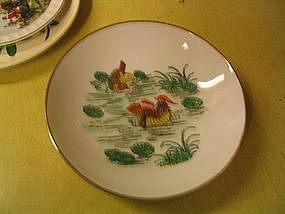 I have several of these plates available for purchase. I need your zip code to calculate the postage. This little bowl measures approximately 5 7/8" across. 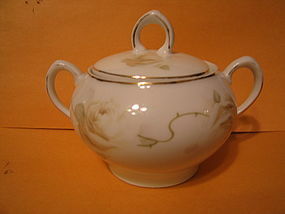 I am not sure if the bowl was manufactured in Japan and hand decorated in Hong Kong, but the bottom says Japanese Porcelainwares, hand decorated in Hong Kong. There are no chips, cracks or breaks. There does not seem to be any loss of paint to the design and very little to the gold trim on the rim. If you have any questions regarding this item, please email. I need your zip code to calculate the postage. 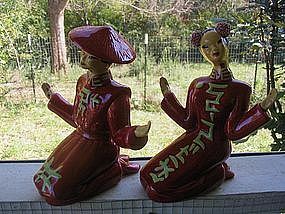 Pair of Yona Lippin figurines. They measure approximately 7 1/2 inches in height. The female figure has 2 repairs (right hand and left arm). Minor loss to finish to the male figure in one area. Complete detailed condition photos of both figures available by email. I need your zip code to calculate the postage. 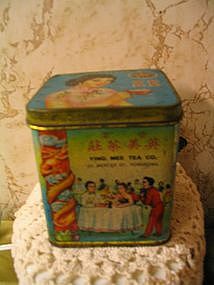 This box must be one of the later pieces because it has a silver foil label without the artist signature incised in the pottery. 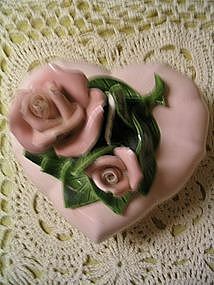 Measures approximately 5 1/2" x 5 1/2" with a height of 4 1/2" including the rose. As you can see in the photograph, one leaf is broken and although it does not show in the photograph, there is some roughness on the flowers where the leaf is broken. I will provide additional photographs upon request. Need zip for postage calculation. 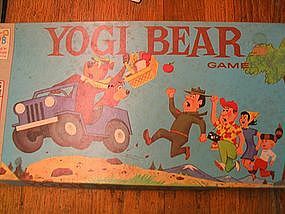 1971 Milton Bradley. All parts are present. The lid is in a soiled condition and has an unrepaired split corner. Please email for detailed photos of box and contents. I need your zip code to calculate the postage. 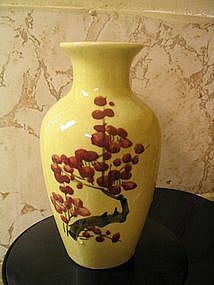 Vintage vase manufactured in Japan. It is 9 1/2 inches in height. There are floral designs on all four sides. There are some manufacturing finish misses around the base. 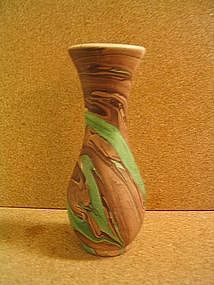 2 vases are available and priced individually. I need your zip code to calculate the postage. The bottom is stamped Yellowstone National Park, Made in the USA. 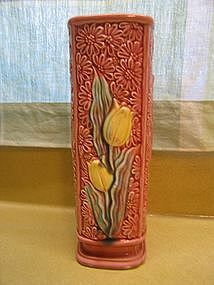 I am not sure of the manufacturer of this vase or the age. It is 5 1/4 inches in height. No chips, cracks or breaks. I need your zip code to calculate the postage. 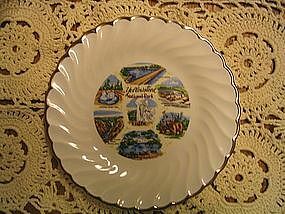 Six inch souvenir plate. No damage other minor wear to the gold trim. I need your zip code to calculate the postage. This vase was probably manufactured in Japan. It is 6 1/2" in height. No chips, cracks or breaks. The finish appears to be intact. There is some crazing. I need your zip code to calculate the postage. 5 1/2 inches in height. No manufacturing info. 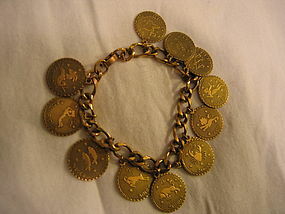 There is a loop for a chain for additional babies. No chips, cracks or breaks, but minor paint loss. Has been packed away for years and needs cleaning, but I've ruined so many things, by not knowing how to clean the particular finish, so I've just left this sweetie alone. I will be happy to provide additional photos. I need your zip code to calculate the postage.